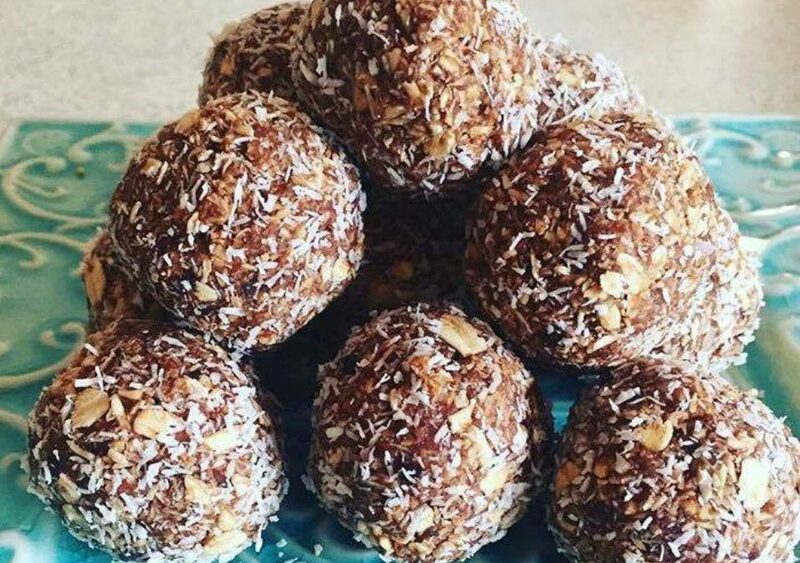 Try these delicious Chocolate Goodie Balls are full of nutritional goodness. Next time you are craving a sweet treat enjoy one of these. You can play around with the ingredients adding different types of nuts, seeds and flavouring. They are easy to prepare these Chocolate Goodie Balls by yourself or with family helpers a great interative time together. So simple and wonderful to have ready in the fridge for that snack time. In a food processor combine all of the ingredients above for a few minutes until it forms a sticky mixture. Roll into balls the size of a tablespoon and then roll into desiccated coconut. Place into the refrigerator and eat chilled. Tasty and good for you and the whole family great for unexpected guests who pop in or prepare and share as gift for a loved one or school teacher instead of chocolates. This is such a quick and easy recipe. It is so delicious even my husband loves it. These little goodies are great to have on hand especially for those unexpected guests or a little self-indulgence.